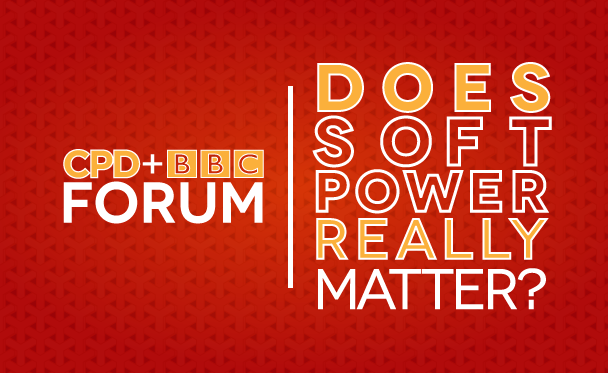 Home|CPD-BBC: Does Soft Power Really Matter? The term “soft power” has gained global prominence over the last two decades. A whole series of recent global events seem to show how it is hard, not soft, power that states are turning to to pursue their national interests – look at the Russian annexation of Crimea and destabilization of Ukraine, the return of power rivalry between China and Japan, competing territorial claims in the South China Sea, and of course the turmoil in the Middle East. So, is “soft power” still relevant? And what is the nature and utility of American soft power—which is widely recognized as a leader in the world—while hard power is making a comeback as the relative balance of power in the world shifts against the U.S.? RITULA SHAH: In an environment where the world order is shifting unpredictably, is soft power a luxury? Is it hard power that gets governments, and in particular the U.S. government, what they want? Does soft power really matter? JAY WANG: Of course it matters, and in fact, it matters more in contemporary times. Just remember that hard power and soft power are historical constants. 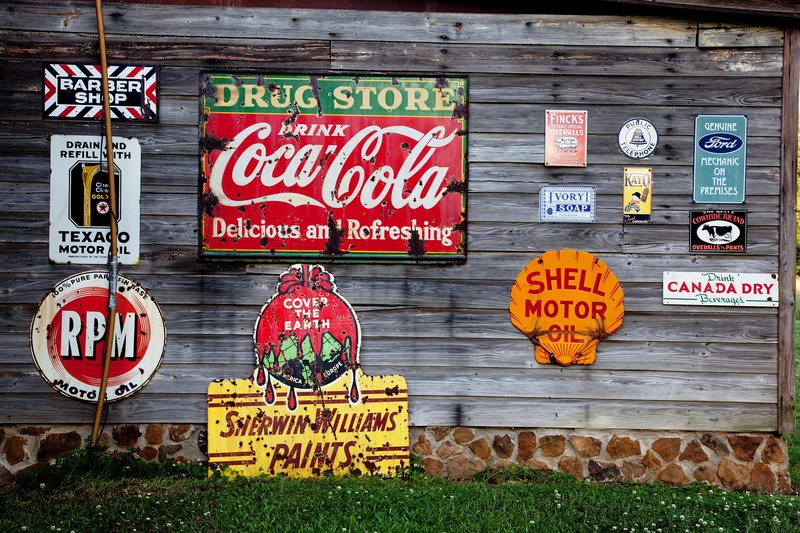 What is new is that in the information environment that we are living in, there are so many different actors. In order to achieve peaceful and productive relationships in the context of globalization and a global economy, we do rely more on soft power tools. RITULA SHAH: Okay, we’ll hang onto that thought. Russia is asserting its national interests with the use of hard power in Ukraine. It doesn’t seem there that soft power is actually working. OLGA OLIKER: Soft power is a huge part of Russia’s strategy in Ukraine. Nothing that Russia is doing would have happened if Russia hadn’t started off with a very effective soft power campaign. RITULA SHAH: As more countries seek to have their voice heard on the international stage, is it inevitable that we’ll see greater use of hard power? ROBERT KAUFMAN: Yes, and soft power has its place, but you have to make a reasonable distinction between dealing with democratic regimes and the democratic zone of peace, or regimes that are revolutionary, authoritarian, and expansionist. In the latter category, the Obama administration has vastly overrated the importance of soft power to the neglect of hard power. P.J. CROWLEY: I don’t think that hard power and soft power are mutually exclusive. In fact, you can see today in the environment that hard power also has its limits. We no longer thankfully fight wars to a total surrender. All wars now are wars of choice, they are limited wars, political wars, and you see in the crises that have preoccupied us over the past twelve months – Ukraine, Gaza, and currently the crises in Syria and Iraq. You have the employment of hard power, but in determining who has the advantage or disadvantage, who won, who lost, it’s accompanied by a very significant campaign of soft power. RITULA SHAH: We talked a little bit about whether Russia is using soft power or hard power. Do you think smart power applies then, perhaps to Russia, even though you could argue that they spent billions on the Sochi Games, and yet within days, Ukraine was unraveling? OLGA OLIKER: I think Russia is trying to use smart power, in the sense that it is combining soft power and hard power techniques, in the hope that they will generate the effects it wants, that they will cause countries to do what Russia wants them to do. It is having more success in some cases than in others. So it was very effective in Crimea. I don’t think the Russians expected it to be that effective. There had been this tremendous propaganda campaign throughout Ukraine, telling Ukrainians that EU association would lead to all sorts of terrible things, like gay marriage. And this was very effective, particularly in Eastern and Southern Ukraine. RITULA SHAH: But is Russian soft power in that case working on perhaps an audience that is already quite well-disposed towards Russia, whereas in the neighboring countries, in the rest of Europe, and much of the rest of the world actually, it’s having a very negative effect? OLGA OLIKER: Russia has spent a lot of time building up its soft power capabilities in Ukraine, and I think it’s been much more effective than any of us expected it was. And if you look today, you see posters for Russia Today all over the United States. I see them in Washington D.C. And I have friends who aren’t specialists in international relations say, “What is that? That’s interesting. I agree with what that’s saying. You should question authority; you do need alternative points of view.” So I’m not so sure that Russian soft power is completely dead in the rest of the world. RITULA SHAH: You could argue that this administration has been rather poor at trying to deploy a soft-power element to its relationship with Russia. There was a reset, if you all recall, and it went wrong within hours. P.J. CROWLEY: Well, understand the context there. It was in a Russian administration led by Dmitry Medvedev, who was trying to reposition Russia as a forward-looking country; and whereas the reset ended when Vladimir Putin reassumed the presidency, and he wants to take Russia backwards towards its former glory days. Again, he has been very effective at parrying the power of the United States, but he can’t; he has no ability to duplicate it. ROBERT KAUFMAN: The Obama administration came into office assuming that if you tried to treat Russia as a partner for peace, you would have a partnership not only in Europe, but extending to issues such as Iran and Syria. I’d argue that the record demonstrates that soft power was entirely contrary to the situation because it misread fundamentally the dynamics of the Russian regime. RITULA SHAH: Could you say that Russia and the U.S. are special cases in that they both have huge military capacity and nuclear capability? In a sense, you could say, in that context, soft power is sort of a bit of an intellectual fad. JAY WANG: Russia has poured all these efforts into its soft power projects, including the Sochi Games – let’s just say if they hadn’t done that, I wonder how successful their hard power pursuits and strategies would have been. This is a difficult empirical question to answer, but I would certainly argue that because of these soft power efforts, which worked in conjunction with the hard power strategies, apparently Russia was making quite a big advance in terms of their policies and goals. RITULA SHAH: Given where we are on the ground in Ukraine, is it a situation in which soft power really doesn’t have a part, because the partner concerned isn’t particularly interested in dealing on those terms? P.J. CROWLEY: I think there’s a soft power dimension to this. Vladimir Putin says that he has an interest in protecting the culture, the language, and the interests of Russian-speaking citizens, wherever they are. So in terms of a near and far diaspora, that is a form of soft power and certainly in terms of Putin’s political legitimacy and support at home, he’s riding a wave. On the other hand, as we mentioned, to the extent that say, something like the Sochi Olympics was aimed at advancing Russia’s soft power around the world, certainly I don’t think that’s an investment that has paid off. It may not bother Vladimir Putin terribly, but certainly if you compare the Sochi Olympics to the Beijing Olympics, which was a leap forward for China, they’re very, very different. ROBERT KAUFMAN: The United States and weak countries or countries not in the mainstream of geopolitics have historically always advocated soft power because they’ve had the luxury to do it. Let me give you the contrast; if Israel relied on soft power it would be gone in 30 minutes. The ability of a country to rely on soft power depends on your neighborhood, your enemies, and the situation you’re in; sometimes it works, sometimes it’s a death sentence. RITULA SHAH: Let’s talk about the Middle East, which is something that this administration is embroiled in once again despite the fact that it didn’t necessarily want to. Isn’t that an example of where, I guess, there is no binary choice; it’s not even about soft power or hard power; actually, it’s the hard power that talks? P.J. CROWLEY: Well, it’s tempting to think that way with the Gaza conflict this summer and the ongoing crises in Syria, Iraq, and, let’s not forget, Libya. But ultimately, these are multiple conflicts. All of them have a hard power dimension, but you have a number of very significant rivalries that are manifest, for example, in a conflict like Syria; you have a contest between the Assad regime and a mixed-bag opposition; you have regional rivalry between Iran and Saudi Arabia; you have an ongoing struggle between Hezbollah and Israel. And all of those things involve selected use of hard power, but ultimately, at the heart of this struggle, is a struggle within Islam. And that is going to be, in a sense, a religious struggle and whose interpretation prevails in this will probably have far more to do with soft power, and influence, and perception. RITULA SHAH: But how can you deploy soft power, in that instance, where you have groups that simply don’t value the kind of soft power interests, and ideas, and ideals, if you like, that the West may try and project? ROBERT KAUFMAN: I’m going to disagree with P.J. ; there are situations in history where you do have to fight to win and annihilate the enemy first before you could negotiate with it. D-Day doesn’t happen when you talk to people, you had to destroy the Third Reich, and you’re also gonna have to destroy ISIS as a prerequisite for soft power applying. Soft power is not a sufficient condition, it’s a supplementary one; sometimes it’s necessary, but again certain types of adversaries it’s actually Prozac to you to think that soft power alone can deal with certain types of threats emanating from certain types of matters. RITULA SHAH: But some might say that by the time you’ve defeated that enemy, any hope of then deploying soft power on whatever is left is gone for generations. ROBERT KAUFMAN: But that’s not true. We defeated Germany and Japan and won total victory. And thereafter, behaving magnanimously, American soft power in the form of the Marshall Plan in Europe, International Monetary Fund, was brought to bear. We’re on the BBC so I’m gonna quote Churchill: “In defeat, defiance; in conflict, tenacity; in victory, magnanimity; in peace, good will.” There is a time for soft power, but not when you’re dealing with an implacable enemy. JAY WANG: The main challenge we’re facing is really how to balance these short-term goals with the longer game of soft power and public diplomacy. I think all of us are very much aware that there is no way we can air strike our way to lasting peace. The challenge is what we are facing is a very fluid environment. Instantaneous communication and social networking presents governments lots of pressure and urgency to take action. So, it is about how we achieve those short-term, hard power goals, but not sacrificing the soft power project that eventually we will have to come back to. OLGA OLIKER: I think we’re still judging the effect of the information revolution as it continues on foreign policy. I do want to make a bit of a different point though; I think it’s very important to realize that the adversaries, or prospective adversaries, are using soft power. Just because it’s soft doesn’t mean it’s nice; soft power isn’t benevolent power; soft power is an effort to attract. So, ISIS uses soft power. I think the information age is very important, Twitter is very important; they reach out to people around the world through the internet and that’s soft power. JAY WANG: There’s a premise that communication is good and transparency is good, but sometimes it may not be that good because the more you know about other people, and the more you see things from your own interests and goals, the worse it gets. Soft power is kind of in the eye of the beholder; it is not necessarily a benevolent force. P.J. CROWLEY: It depends on the context and the audience; the Islamic State gets a lot of credit for its communication strategies; it’s very clever; it’s very innovative. But its message to America was “leave us alone.” And yet a year ago President Obama was unable to get significant political support for a military strike against Syria following the use of chemical weapons that killed 1,400 people. But a year later, based on the dramatic videos, the horrible videos, of the beheadings of two journalists and an aid worker, all of a sudden, now you have a political crystallization. And, in fact, a very significant and growing coalition rooted in the Middle East, and now the Islamic State has a fight that it’s not likely to win. RITULA SHAH: A key relationship for the next century is likely to be that between the U.S. and China. We know that China is investing in its soft power, and is now building up its military capability too, although it’s still no match for the United States. But as we speak, China is facing a big challenge on its own doorstep, with the pro-democracy protests in Hong Kong. How damaging do you think these protests could be for China's image in the rest of the world? JAY WANG: Well, as we can see that obviously mainland China doesn’t have much soft power in the eyes of the Hong Kong residents, especially the younger generation. But I want to point out what we are seeing, the mass demonstration, is just a focal issue. But there is the larger context of Hong Kong's continued struggle with searching for its identity after the 1997 turnover to China. Hong Kong used to occupy a very special position in the mainland Chinese imagination, the global imagination, and more importantly, in the imagination of the Hong Kong residents themselves. Hong Kong did not want to be just one of the Chinese cities, but it could not continue its colonial identity either. So how should Hong Kong create a new identity? And I think the identity issue was not effectively resolved and that’s what we are seeing today. RITULA SHAH: There are lots of East Asian countries that are worried by China’s territorial ambitions and so on. They’re unlikely to be mollified by a singer or a Confucius Institute, aren’t they? JAY WANG: China is expanding influence in the Asia-Pacific region. Because of its economic rise, it’s also understandable that China pays a lot more attention to safeguarding its own expanding interests. And if we’re talking specifically about the East China Sea, of China’s rivalry with Japan, that has a lot of historical roots. Why China is more ready and more willing to show force in the international space is that the Chinese government also needs to answer to its own public. And its domestic legitimacy is derived from standing strong on the international stage. ROBERT KAUFMAN: I don’t agree with that. I think the evidence is not definitive, but compelling, that China has embarked on a much more expansionist course, and they want to make the world safe for the perpetual authority of their party, and they’ve picked fights, not just with the Japanese, but with the Vietnamese, the Philippines. China has embarked on a massive comprehensive military buildup. What East Asia wants, according to the Pew Foundation, is not American soft power, but increased American military presence. P.J. CROWLEY: I would say in the context of the ongoing demonstrations in Hong Kong, it will answer the question that we’ve come here to sort through: does soft power matter? The fact that, at least for the moment, China is trying to wait out the demonstrators in Hong Kong has expressed an interest in dialogue. Where that goes, we’ll see. RITULA SHAH: And in terms of the United States’ relationship with China, we’ve talked about how countries with different ends, perhaps soft power is people talking across purposes. Is the same true in the relationship between the United States and China? P.J. CROWLEY: Actually I think, notwithstanding the tensions that we have, and some of the Chinese responses in their own backyard, particularly over the Senkaku or Diaoyu islands, have been very good for the United States and its soft power. The United States has probably firmed up its relations with the neighbors to the extent that China thinks that there’s an encirclement strategy here. But by the same token I think that certainly in 1998, Bill Clinton went to Beijing and stood with Jiang Zemin, then the President of China, and wagged a finger at him and said, you’re on the wrong side of history. You know, and 15 years later we know each other very, very well, and this is going to be one of those very consequential relationships, and soft power will be a dimension of it. OLGA OLIKER: I think, what’s interesting and what’s going on with China, what’s going on in Ukraine with Russia, this is hard power in the sense that they are taking military actions, they’re taking territory. That’s pretty much definitionally hard power. But they’re doing it in areas where there are U.S. interests, but they aren’t vital interests. JAY WANG: There’s a larger question, specifically when we are talking about China’s soft power efforts. It’s how soft power is generated. It hasn’t been very effective in China’s case. That’s because much of it is being generated through the government. It’s a very top-down kind of a model. As we talked about it earlier, centers of power are so diffused these days, and the generation of soft power and the exercise of soft power increasingly is also bottom-up at the grassroots level. And I don’t think that has been done very well in China’s case. P.J. CROWLEY: Which makes Yao Ming very, very important. OLGA OLIKER: Well, also, just because they like your culture doesn’t mean they like your message, which is the other piece of this. The wine bars and nice restaurants and cafes in China, in Russia, those are Western soft power. But it doesn’t mean they like the Western message. And vice versa, they can successfully manufacture a star, and people might like her, but that doesn’t mean people will be supportive of China. ROBERT KAUFMAN: When you’re watching Hong Kong, remember Tiananmen Square. And this is why the Chinese leadership that wants to stay in power looks at this through two prisms; when Gorbachev let the Berlin Wall go down, and didn’t have the nerve to do what Khrushchev did to re-impose Stalinism, it unraveled. When China took the short-term heat for running over students with tanks at Tiananmen Square, the regime stood. When push comes to shove, I’m sad to say, and I’m used to being the skunk in the room, the Chinese are going to err on the side of hard power to control those protests. RITULA SHAH: Well I want to just turn the corner because we’re running out of time, briefly, to look at one more example of U.S. hard power, and that’s drones, which is also causing a certain amount of consternation in various parts of the world. Definitely a use of hard power, but at an enormous soft power cost, if surveys are to be believed. It makes people in the countries attacked really think very badly of the United States. Is that a price worth paying? P.J. CROWLEY: From a hard power standpoint, there are civilian casualties when drones are used. But there’s less impact than if you engage with 100,000 troops in a particular country. There’s a conundrum within the counterterrorism strategy; they have been very effective. On the other hand, there is a rising cost. Polling which suggests, I think a Pew poll from a year or two ago, there are two countries that love drones: the United States and India. And, I think this is a case where the United States has to be more effective in communicating regarding drone operations. RITULA SHAH: So, I’m going to get a final thought from all of you as we wrap up. Robert Kaufman then, does that suggest, from what you’ve just said that as far as you’re concerned, hard power has never gone away, and actually soft power is a much smaller component of what any country should display? ROBERT KAUFMAN: Let me use the metaphor of a martini. Soft power is vermouth, hard power’s the gin, and it’s a dry martini dealing with an aggressor. RITULA SHAH: Jay Wang, where would you say hard power is in all of this? It’s never really gone away. Why have we spent so long talking about soft power? JAY WANG: Because there are times that it’s necessary to use hard power, it becomes all the more necessary that we diversify our soft power assets and our soft power capabilities so that it provides some buffer. That’s why soft power is increasingly important and prominent. RITULA SHAH: Olga Oliker, is soft power increasingly important? OLGA OLIKER: Soft power is extremely important. Hard power without soft power fails. It gets you Iraq, it gets you Afghanistan. That’s the bottom line. You need both. RITULA SHAH: P.J. Crowley, hard power’s never really gone away. P.J. CROWLEY: Not at all. RITULA SHAH: And actually, if anything, it’s been in the ascendance, some might say. P.J. CROWLEY: No, however, in this environment, in the global media environment that we’re in, the coins of the realm will be soft. The decisive elements will be legitimacy, credibility, transparency, and sustainability. And those are more, far more, political dimensions of hard power, and that’s why soft power will increase in importance. RITULA SHAH: Thank you all very much. That’s it from this special edition of The World Tonight. I’d like to thank our panel, Jay Wang, P.J. Crowley, Olga Oliker, and Robert Kaufman. Thanks also to the Center on Public Diplomacy at the University of Southern California and our wonderful audience. Thank you all very much, bye bye. To hear the broadcast on BBC’s The World Tonight, click here. To hear the broadcast on BBC's The World Debate, click here.